Many properties with yard drainage problems have a dry well system installed to ensure that the excess surface water gets transferred quickly into the subsoil. This could be a simple hole full of sand and gravel or hole fitted with pre-cast concrete sleeve fed by drainage pipes. Though dry wells tend to last for years, proper dry well maintenance is essential to ensure their hassle-free working. 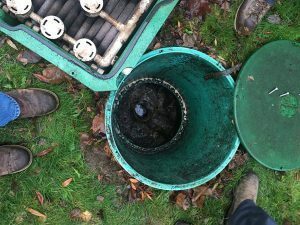 Dry well problems that do crop up occasionally need to be looked at by professionals to restore the functionality and longevity of the system. This is where VAC-TEC LLC steps in. We offer dry well repair services in Steilacoom, WA. There are several issues that can stop your dry well system from functioning right. The well lid could get clogged, the well walls could collapse or settled debris could seal the well. A dry well system does not work equally on all properties. 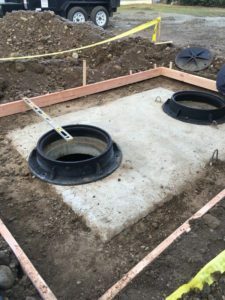 If you do not want to end up with the dry well backing up or the dry well not draining properly, make sure to get the system installed only after confirming its suitability for the site. Meanwhile, we are here to take care of any problems that may arise after the dry well system is installed. Call today to schedule your dry well repair job in Steilacoom. Taking the dry well system for granted and ignoring dry well problems can cost a lot in the long run. Relying on a dry well repair done by untrained, inexperienced or unprofessional technicians can also be expensive. Encountering dry well problems in your Steilacoom property? Call the specialists for repairs. Contact VAC-TEC LLC at (253) 777-4887.